This is the first of what I’m planning to be monthly pieces on visits to breweries. 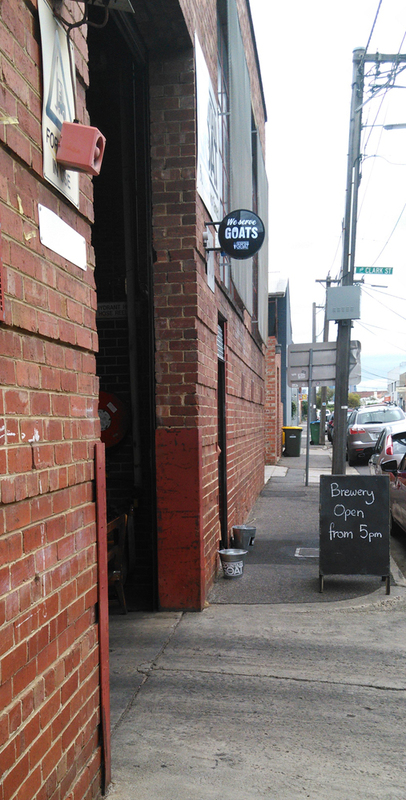 The first brewery visit is to Mountain Goat, a very well known brand for craft beer in Melbourne, throughout Victoria and across Australia. They have even had some limited success overseas in the USA. One big part of their success story is that they’ve been around for over 15 years, and they’ve been around that long because they make really good beer. Mountain Goat might not make the most exciting or experimental beers. They’ve even had a few boring beers. But they vary rarely make bad beers, and if they do then they don’t go far. Which brings me nicely to the brewery. 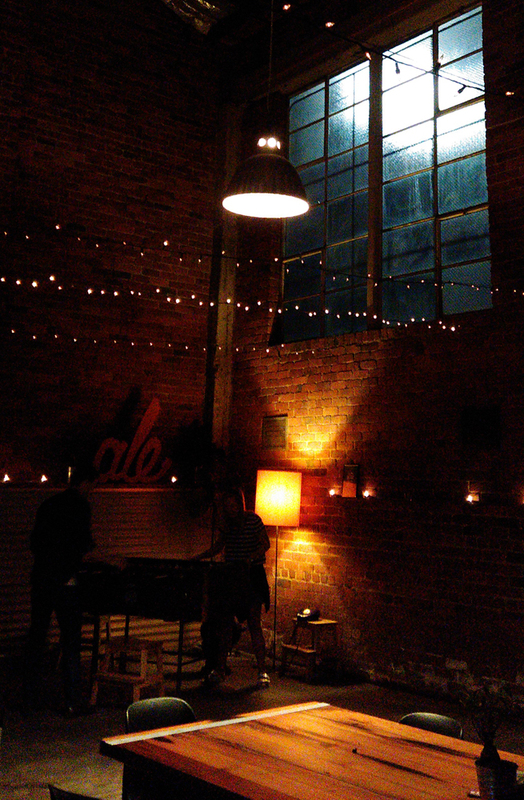 The brewery is in a warehouse with tall roof and big open space. Located on a nice narrow side street in Richmond as part of industrial area. They have a bar, but it’s only open to the public on Wednesday and Friday nights, 5 to late (normally around 10 or 11 pm). Because they are only open two nights you don’t get a ‘pub’ feeling about the place. If you want that, walk 20 metes down the road to The (really good) Royston. 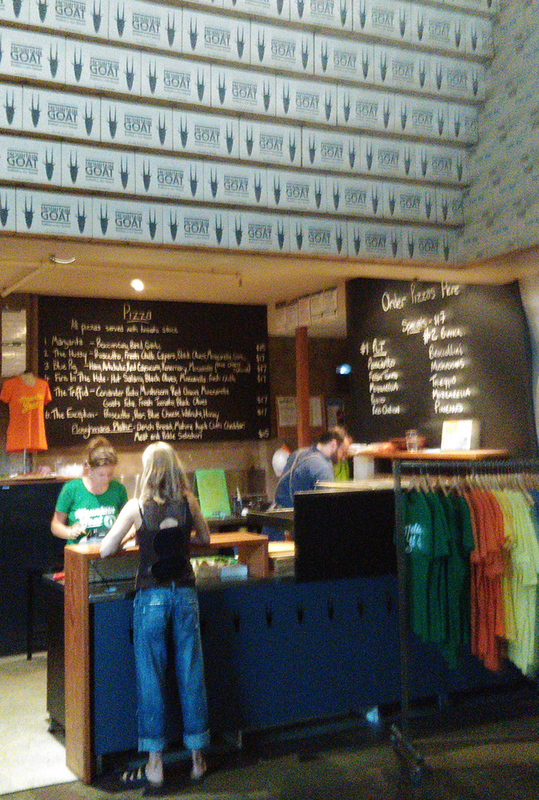 The bar at Mountain Goat normally has 6-8 beers/ciders on tap with their Randy. The Randy is a randall where they run one of their beers through extra hop leaves, spices, nuts, or whatever. It is always worth trying. Some infusions are amazing, like the stout options in winter, others not so great. A couple years or so ago they also installed a hand pump, called Handy. This is a very welcome addition as the darker big beers don’t have to go through the taps and get chilled. As well as the taps they have bottles of the regulars and normally a current limited release, in not a few. Plus you can buy take away bottles. Just make sure you buy up well before leaving as they stop bottle purchases a good couple hours before closing up. The atmosphere is really good here. It’s not uncommon for families with babies and kids sitting in the couches area. They’ve moved the Foosball table, and given it a complete overhaul (games cost $2 each). There’s also a lot of bike riders. There’s and old, but not talked about, rule that if you ride there you get a free pot of Hightail or Steam Ale. You’ll need to prove you rode there, so being all sweaty in Lycra with your helmet will help. I’ve been coming to the brewery for the past five years or so. 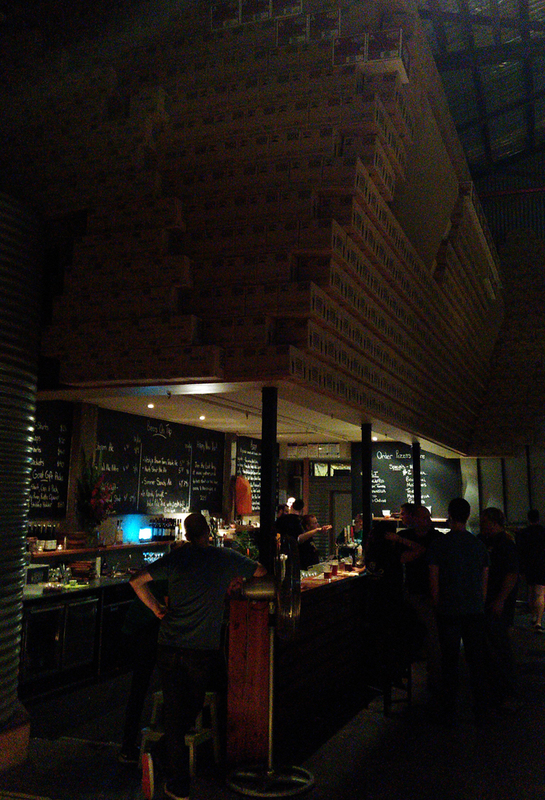 A few minor changes of but the key features remain: empty boxes above the bar, cheap ‘n’ tasty pizzas all night (until they run out, and expect long 1+ hour waits on busy Fridays), Alfonse the goat sculpture, and free tours every Wednesday at 6:30 pm. The tour is a really good one. Good back story on the brewery and how it all started in 1997 by Cam Hines and Dave Bonighton. The two homebrewers started out after Cam’s trip to New York and their first beer the Hightail Ale was released October 1997. The full story is on their site, so I’ll skip forward. The tour involves sampling some malt grain and hops. There’s a walk around the floor and a bit more of a story on the upgrades over the years. Environmentally conscious, water efficiency has always been a big thing with their own water tank and reusing wherever they can. Their spent grain is sent to farms for cattle. Solar panels on the roof are used to heat water. And they still promote riding your bike to work for employees. 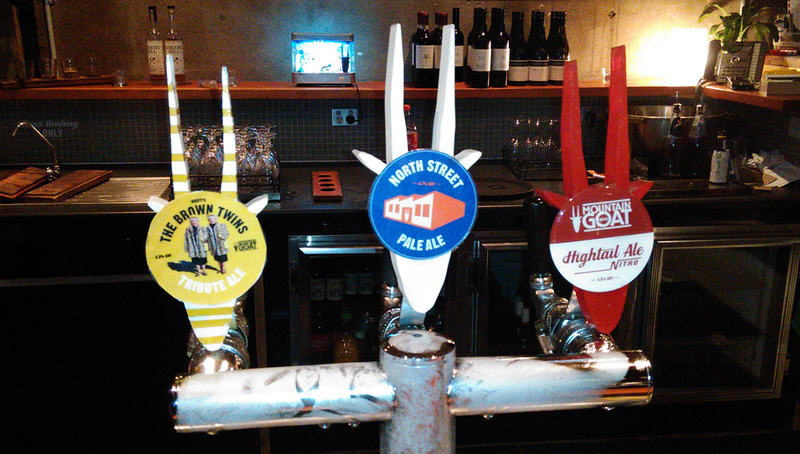 Mountain Goat is one of my favourite breweries in Melbourne. Always fun to go to with friends and a good friendly atmosphere. I highly recommend checking it out. Tram from city down Bridge Road or Victoria Street, then 5 minute walk. Train to Burnley Station, then a 15-20 minute walk. Bike space inside or out. Yes, bottles and cans. No, growlers. Regular and limited range. Slabs of regular range available. Single large bottles of limited range. Free. Need to book if more than 4 people. About 45 mins. Closed shoes required. 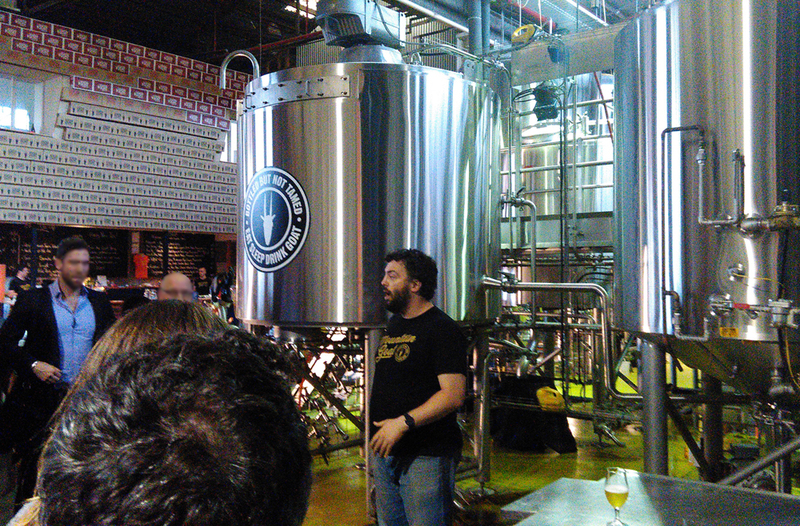 Includes brewery history, beer brewing process, ingredients samples, walk around equipment. No tasting samples. Wednesday for the tour and a relaxed night. Have a game of foosball. Grab a few take away bottles for another night. Friday for fun/long night. Get in before 5:30 to get a table. Make sure you order pizzas early (order your first before 6 pm). If you’re riding, get your free pot of Hightail or Steam. Check out social media accounts if you want to know specials before visiting.